Drugs from the forest. Drugs from the sea. Drugs from every conceivable natural source ranging from fungi to frogs; that's much of the history of drug discovery. In the first part of this series we looked at the initial steps in drug discovery, from identifying key target proteins involved in a disease to trying to make sure that these proteins can be "drugged" with a small molecule. But let's say you have now identified a few promising proteins malfunctioning in Alzheimer's disease. How do you even begin to try to discover drugs that modulate this protein? Or more generally, where do new drugs come from? In fact the ancients knew quite well where drugs came from. At a time when even the rudiments of science were barely known, our South American ancestors were cheerfully chewing on coca leaves to provide stimulation and energy and the Greek physician Hippocrates was prescribing a bitter powder made from willow bark that could ease fevers and aches. Similar narratives permeate the traditions of cultures around the world, with Chinese and Indian traditions playing an especially prominent role in the history of medicine. The Bolivians had no idea that coca leaves contained cocaine and Hippocrates had no idea that willow bark contains salicylic acid (from which aspirin is made), but they all knew that there was something in plant and animal extracts that could mitigate a variety of ills. Fast forward two thousand years and the picture has not changed. Nature continues to be an enormously valuable source of new drugs, or at least of compounds that can be turned into new drugs. In fact about 50% of all medicines on the market are derived from what are called natural products. The term "natural product" means something quite different to a chemist than what it might to a layman. For laymen the phrase might conjure up images of bottles of herbal medicines lined up on the shelves of the nearest health food store, but for chemists it refers to molecules produced by living organisms for a variety of functions, from feeding to mating to defense against predators. These molecules are also called secondary metabolites to distinguish them from "primary" metabolites, namely nucleic acids, lipids, amino acids and sugars which are essential for life's functioning. Quite fascinatingly, it turns out that these natural products can be astonishingly potent in serving a variety of functions sought by drug discoverers, most commonly killing other cells. This is perhaps not surprising, considering that defense against predators was a key housekeeping chore for most organisms throughout evolution. Fortunately for us, it also turns out that some of the most potent leads for new drugs are therefore found in the lowliest of organisms - bacteria, fungi and protists - since these organisms in particular are constantly engaged in chemical warfare with multiple other pathogens from their environment (including human beings). It's again no surprise to find that most successful antibiotics such as penicillin and streptomycin have come from bacteria and molds. And thus it comes to pass that some of the most important drugs on the market have been derived from the humblest of creatures to whom we owe millions of lives. Three examples will suffice. 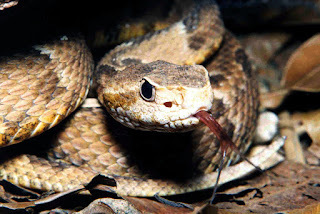 Captopril is a bestselling blood pressure medicine that was originally derived from the venom of the Brazilian pit viper. Taxol, one of the world's bestselling anticancer drugs, comes from the bark of the Pacific yew tree. And rapamycin, a significant immunosuppresant that allows millions to survive organ transplants without violently rejecting them, came from a soil bacterium on the distant Easter Island of Rapa Nui. The potential for discovering new drugs from natural organisms is as good a siren song for preserving our biodiversity as any other; for instance marine sponges are an unusually fertile source of promising new drugs and their homes in coral reefs therefore need to be preserved. Nature has thus forged an intimate link with human life and death through its production of novel drugs. And the fact that a fungus which evolved billions of years ago and had absolutely no contact with the human race produces a molecule that saves a young girl's life is as poignant and fascinating a fact in all of science as I have encountered. However it's easy to point out these molecules and even easier to overlook how hard it is to discover them. In the post-war boom in pharmaceutical research, pharmaceutical, academic and government labs sent out legions of scientists to scoop up samples of soil and bring them back to their labs. Sometimes a glass vial would be thrust into the hands of a scientist who was leaving for a relaxing vacation in an exotic locale, just in case. The collected samples were then screened against different kinds of cells. Any kind of effect on the cells was carefully noted, and compounds which seemed to inhibit cell growth were selected (it's interesting to note that one can also discover drugs this way, simply by throwing molecules at cells without any knowledge of the protein target. More on this later). But the success rate from such screening was quite low, and only a fraction of extracts or molecules screened show promising activity. In fact one of the reasons we are facing such a big threat of antibiotic-resistant bacteria is because it's been extremely hard to find novel antibiotics using traditional methods that worked so well before. For every taxol or rapamycin or erythromycin, there were hundreds of thousands of extracts that did not deliver anything. Hundreds of millions of dollars were sunk into the collection, purification and testing of these natural sources. Most were either too weak or too powerful, completely killing any cells they encountered. But nature, as inventive as its evolutionary processes are, cannot supply us with all the drugs we need. This is where the ingenuity of chemists comes in. The major triumph of chemistry, one which makes it unique among all sciences, is its ability to discover, design and synthesize molecules that don't exist in nature. Chemists can either tinker with existing molecules or create new ones from scratch by arranging atoms in specific configurations, a feature that makes chemistry an art akin to architecture. The employment of chemistry in the service of medicine has been one of the most successful scientific stories in history. Not only has it allowed us to discover molecules that never existed before, but it has also helped us preserve biodiversity; for instance, once chemists figured out how to cheaply make the anticancer drug taxol from abundant starting materials, they did not have to depend on the loss of thousands of Yew trees for delivering the drug. Over the years chemists have finely honed their capacity to rapidly make millions of compounds efficiently and in pure forms. They can test these millions of compounds and see whether any of them bind against protein targets, a feat helped to no small extent by automation and robotics. This process is called high-throughput screening (HTS), which as the name indicates can test millions of compounds against proteins or cells in short order. When it became fashionable in the 80s and 90s, HTS was regarded as something revolutionary; after all if you ended up testing tens of millions of molecules against any disease or protein, surely you would find at least dozens of promising leads. Sadly that dream has not come true, and while HTS is valuable it has turned up very few leads which were then optimized into drugs. As with natural screening, HTS success rates can also be quite low (about 0.5%). Why is this the case? Well, one simple reason why HTS has not worked out is because the theoretical number of druglike molecules you can make is literally more than the number of atoms in the universe; even when you have a library of consisting of millions of compounds, you are barely scraping the surface of this unimaginably vast number. Another reason is a fact mentioned in the previous post, namely that nature had very little evolutionary incentives to create proteins that would bind to synthetic drug molecules that would appear on the scene billions of years later. Yet another reason is that you may be testing the wrong molecules and trying to put a square peg in a round hole; in that case quantity will never trump quality. Also based on the previous post, it's obvious that not all proteins are created equal and therefore it can be much harder to find hits for certain proteins compared to others. What is worse is that it's often very difficult to gauge this success rate beforehand. Thus as often turns out to be the case in science, nature is a very harsh taskmaster, yielding her secrets with great reluctance. If you want to find a small molecule that binds to an important protein, you are going to have to work for it. A third strategy for finding drugs comes from studying the physiological life of whatever protein you are interested in. Most proteins already bind to a small molecule in the body which modulates their activity, for instance a hormone, neurotransmitter, peptide or some other signaling molecule. For example proteins in the brain work their magic by binding to small molecules like dopamine and serotonin. These molecules are very potent, but they lack the properties that would allow one to transform them into a neat white pill that can be taken once a day. But they at least provide a springboard; why start from scratch when nature has already given you clues? Thus, any of these small molecules can be a starting point for modification, a scaffold whose structure can be tweaked by imaginative chemists. Sadly this strategy also often fails, for the simple reason that changing the structure of a molecule even a tiny bit can completely change its properties. In mathematical terms, the optimization landscape of the structure-activity relationships (SAR) of the drug is rough. This is a general property of molecules that plagues every chemist and drug discoverers especially have a hard time circumventing it. It's one of the key reasons why drug discovery is unpredictable. A great example of how difficult the process is concerns molecules called enkephalins. Enkephalins are naturally occurring peptide molecules which produce the same potent painkilling effects as morphine, and yet in spite of dozens of years of trying, nobody has been able to turn them into drugs. In addition not everything that comes from nature or HTS or physiological molecules is a perfectly formed drug that falls into your lap from heaven, and that leads us into a discussion of another important reason why drug discovery is hard. Almost every single time, irrespective of the starting source, a promising newly discovered molecule is what's called a hit. A hit is to a drug what a freshly minted West Point graduate is to a four-star general. It is weak and unpolished in its interactions with biological system and it can often be too toxic. It may be poorly absorbed or it may hang around in the body for much too long. It may be impossible to press it into a pill and it may be impossible to simply get it into cells in the first place. Namely, it may have a lot of potential but very few real credentials. With some effort a hit may be turned into a lead which is a better version of a hit but still inadequate. Turning a hit or lead into a drug occupies the mind of the best scientists in academia and industry and even after decades of efforts there is no general formula which will achieve this. But not for lack of trying. In 1997 a scientist named Chris Lipinski came up with a set of four rules that would apparently allow us to predict whether any given molecule would be a drug or not. Each rule deals with a fundamental property of molecules and brackets them within numerical limits; for instance the number of atoms that form hydrogen bonds (which tether a drug to its protein target), the hydrophobicity or "greasiness" of the molecule (which allows it to get through lipid cells walls), and the molecular weight, which is a rough measure of size. After analyzing hundreds of drugs, Lipinski came up with ranges for these properties that he thought are featured in the world's bestselling medicines. Since then, "Lipinski's rules" have been used by many leading pharmaceutical companies to constrain the kind of features that their screening collections should have, presumably to bias the chances of success. And yet there is still no proof that adopting these rules has actually led to a higher drug discovery rate. The other strike against Lipinski's rules is that almost none of the natural products described above obey these rules. And yet these natural products like rapamycin are potent and widely prescribed drugs. The bottom line is that in spite of some guidelines, we still don't know what truly makes a molecule druglike and therefore we don't know how to fine-tune the properties of a hit and turn it into a drug. There are too many exceptions that fall through the sieve constructed by any general rules, and learning about these exceptions is a big goal of drug discovery scientists. This concludes the second part of the series. Drug discovery is hard because it is very rare to discover a molecule - either natural or artificial - that is a hit against a protein target implicated in a disease. Hit rates from screening even millions of molecules can be very low. And even if you discover such a hit it can be very difficult to turn it into a drug, partly because our definitions of what a drug truly is are still hazy. In the next part we will consider something very simple that a drug has to do, namely get into a cell, and we will find that predicting even such a simple process is fraught with complications. Summary: Why is drug discovery hard? Reason 1: Drugs work by modulating the function of proteins. It’s difficult to find out exactly which proteins are involved in a disease. Even if these proteins are found, it is difficult then to know if their activity can be controlled by a small molecule drug. Reason 2: Since nature has not really optimized its proteins for binding to drugs, it is very difficult to find a hit for a protein even after searching through millions of molecules, either natural or artificial. And even when a hit is discovered, we don't know for sure how to turn it into a drug with favorable properties.